Qik Video Camera Pro is an interesting video camera application for iPhone shutterbugs who like shooting and sharing their masterpieces online. This new video camera app from Qik features a few handy tools such as smooth zoom, brightness control, audio gain control, etc to help iPhone users make better photographing and videoing. Its easy connectivity and instant posting capability to video sharing and social sites such as Facebook, Twitter, Youtube, etc is another great feature for iPhone users to quick share their videos. Users can upload their videos to their own account at Qik or instantly post them to the Youtube or Facebook site. Users can also share the video links with their friends via SMS, email, etc once they have uploaded to Qik. Qik Video Camera Pro allows photo-mixing in the event users want to design some creative videos or make their videos more interesting by overlaying digital images. Qik Video Camera Pro supports auto standby to reduce battery power consumption when it is not in use. Other handy features include landscape recording, multiple creative real time effect for users to use when videoing and audio feedback for recording, stop and pause buttons. 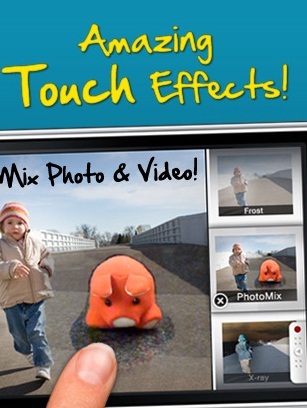 Qik Video Camera Pro is not a free iPhone app and $1.99 is charged for users who want to use it with their iPhone. Having said that, the developer is now offering a FREE download for users who want to try this application. Users who want to try this application can grab it for free from the iPhone App Store before the promotion ends.